Last week, my home lab experienced some storage problems. The result was losing at least one LUN, formatted as a VMFS file system. 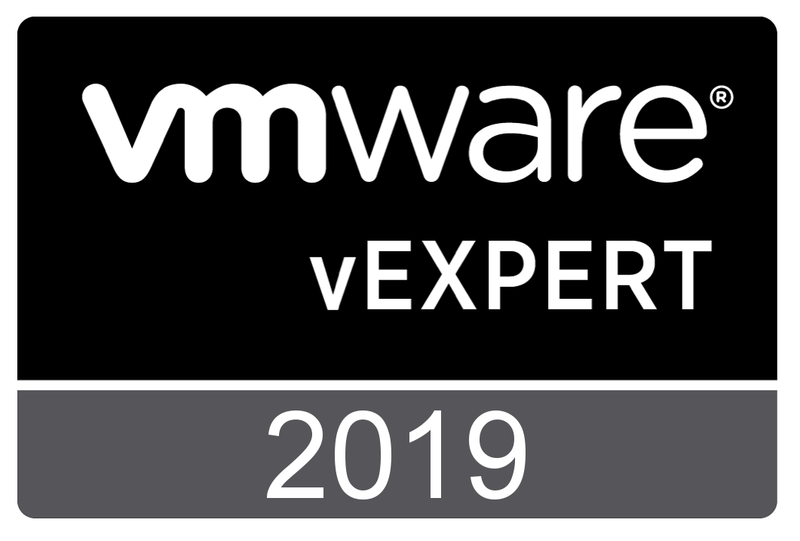 The file system was part of a vCloud Director (vCD) setup and home to some test VMs, and also a few edge gateways, one of them belonging to an Org VDC network. So, it was time to see how to restore the missing Edge gateway. The first idea was to see if the Re-deply option could solve the issue. 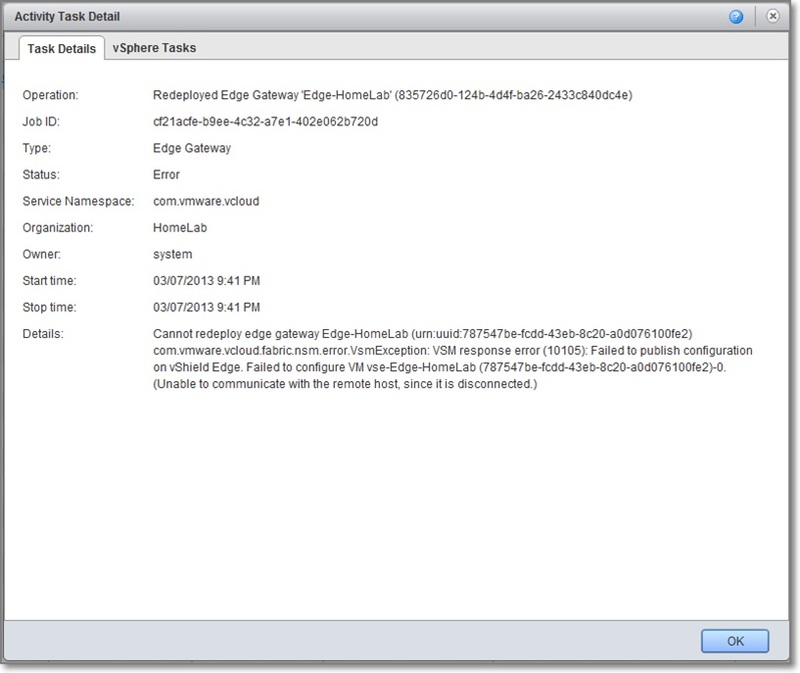 So, login to vCloud Director, select the Edge gateway and select Re-deploy from the available actions. Unfortunately, the result was negative. The task detail explains why, re-deploy is meant to publish the configuration to an Edge gateway, but communication with the Edge gateway is essential. First part of the solution is, to login to the “VMware vShield Manager”. In the left pane, select “Edge Gateways” and in the right pane, select the faulty edge gateway. Under “Actions”, you will also find “Redeploy Edge”, but that won’t help you. The detail window opens, select Settings. At the bottom, under “Edge Appliances”, select the only available Edge Appliance and choose the “Delete” option (red cross). Fill in the required information, and choose “Add”. The “Cluster/Resource Pool” is usually a System vDC resource pool. Select a Datastore, Host and Folder for placement. If everything goes well, you can follow the progress in the vCenter server, the Edge gateway will be deployed. 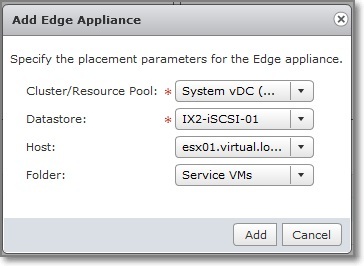 Switch back to vCloud Director, select the Edge gateway and choose Re-Deploy. This time the Edge gateway will be configured and report Status OK.
That is all. I thank you for reading and as always, I welcome your comments. You are currently browsing the Adventures in a Virtual World blog archives for March, 2013.